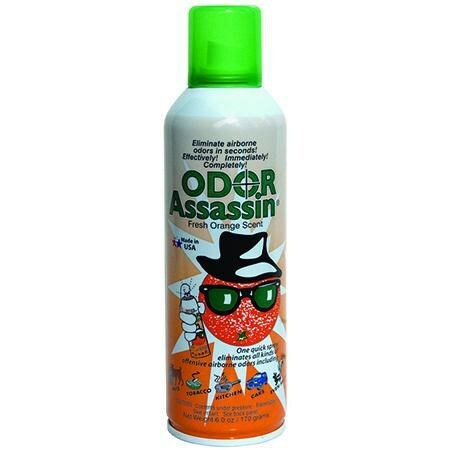 Odor Assassin gets rid of airborne odors in seconds. The industrial strength formula uses a patented odor neutralizer to eliminate offensive odors. Just a quick spray will clear all kinds of odors in your home or vehicle. Eliminates pet odors, cooking odors, tobacco smoke odors, medical and illness odors, trash odors, bathroom and diaper odors.....even skunk odors!